Students in Mrs. Mock’s fourth grade class at Henry Burkhart Elementary have been learning to write persuasive letters. 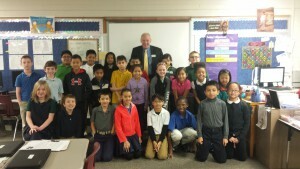 Several students wrote their letters to Perry Township Schools Superintendent, Dr. Little. 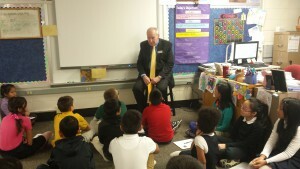 In response to their letters, Dr. Little visited the students to listen to their concerns in person and share his point of view with them.